Introduction – Timothy Coss | Microtunneling, Inc.
Timothy Coss | Microtunneling, Inc.
Overview GBM, Guided Boring/Pilot Tube — Troy Stokes International Sales Manager | Akkerman Inc.
International Sales Manager | Akkerman Inc. Troy is an International Sales Manager for Akkerman Inc., a leading manufacturer of tunneling, microtunneling and small-diameter pipe jacking equipment. Troy is responsible for market development and support in North America along with Australia and New Zealand. His career in the underground construction industry has spanned nearly four-decades with expedition in over twenty countries. Troy is a member of ISTT, along with many of its regional and global chapters, NASTT, ASCE, SME and NUCA. In addition, he has been integrally involved with the annual Microtunneling Short Course since the early years. 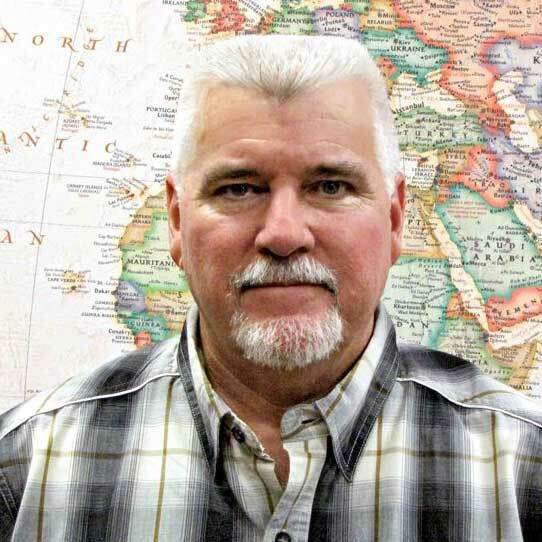 David has worked in the Clay Pipe Industry for over 25 years and has been involved with countless Open Cut, Pilot Tube and Pipe Bursting projects in the United States and Canada. David speaks annually at the Colorado Tunneling Short Course on Vitrified Clay Jacking Pipe, along with providing presentations for Municipalities and Consulting Firms on the Technology of Pilot Tube Tunneling and Pipe Bursting. Nick has over 20 years of engineering geology and geotechnical consulting experience. His specialties include: rock and soil tunnels; trenchless designs ranging from horizontal directional drilling to pilot tube auger bore; rock slope evaluation and stability; rock blasting and, forensic geology. John Beckos graduated from Worcester Polytechnic Institute in 2002 with a BS in Civil Engineering. He has been in the heavy construction industry ever since and has been a project manager for BTrenchless, a division of BT Construction, since 2013. His trenchless experience includes auger bores, pipe bursting, pipe ramming, guided hammers, hand tunnels, curved TBMs, and Microtunnels. Portable Shaft Borer for Pilot Tube Installations — Mike Ellis | Trenchless Equipment Co.
Mike Ellis | Trenchless Equipment Co.
Born in Germany, Thiele became a certified electrical engineer in 1997. Thiele was introduced to the microtunneling company Ingenieur-Tiefbaugesellschaft Dr. Ing G. Soltau GmbH. His duties included the service for the systems, training customers and further development of the systems. In 2000, Thiele joined LOVAT mts and worked there until 2004 when he began working for MTS-perforator GmbH. Anthony “Tony” Barbera started his career at Barbco Inc., a manufacturer of boring and drilling equipment, in 1989, devoting his career to creating and servicing the company’s products. During his 20 years with the company, he has worked as a sales manager, production manager and service manager. He is currently in charge of engineering and product development. As of January 2019, he became co-owner of the company. Jeff Boschert, P.E. is the President of the National Clay Pipe Institute (NCPI), a technical resource for sewer system decision-makers and designers of gravity sanitary sewer lines. He holds a BSCE from Missouri University of Science and Technology. Jeff joined NCPI from Missouri DOT in 2004 to serve as the leader of NCPI’s trenchless initiatives and has become a leading expert in the pilot tube method of guided boring. In 2012 he took on the added responsibility of conducting research and educational outreach and is now actively working with municipalities as they rediscover the benefits of vitrified clay pipe. Welcome — Timothy Coss, Microtunneling, Inc.
Trevor is a 15-year veteran of the steel industry, having worked with various entities including major national and international original equipment manufacturers and contractors on product design and material applications for environmental, agricultural, energy, oil and gas, and construction products. As a Permalok® team member, Trevor has been fortunate to learn from the recognized leaders in underground construction and has focused his efforts on expanding the company’s reach and expertise in trenchless construction and new product design and development working with customers to bring new steel pipe technology to the forefront in tunnel construction. The presentation will cover the different pipe types used in microtunneling, pipe strengths and weaknesses, and suitable applications that the various microtunneling pipes can be used for. Carl Pitzer graduated with a Bachelor of Science in Construction Engineering and Management from Oregon State University in 2012. After college he worked for Kiewit Construction on the SR520 Floating Bridge in Seattle as the structures engineer. In 2015 he left the bridge life and started with Thompson Pipe Group. Carl also serves as the Vice-Chair for the Pacific Northwest Chapter of NASTT. The presentation will outline a project and how the choice of construction by Microtunneling was made versus HDD and Direct Pipe. With the limitations of various methods of new construction trenchless technology changing the choice of which method is best for a project is not as clear cut as it used to be. This presentation helps provide the thought processes involved in making these decisions. 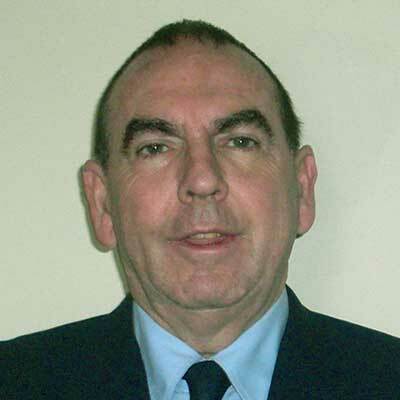 Paul Nicholas has spent 40 years in the oil, heavy infrastructure and tunneling industries with a geological background and extensive engineering experience. He specializes in tunnel boring machine (TBM) engineering and operation both on the contractor and consultant side. His background in geology and experience with tunneling equipment manufacturing allow a unique ability to analyze ground conditions and recommend means and methods, as well as complete constructability and risk assessments for tunnel construction. Altamira Sea Outfall pipejacking drive with a length of 7,360 ft an outside diameter of 10.5 ft is the longest pipe jacking drive with the TBM rescue under the Sea Bed executed and the second longest pipe jacking drive ever since the Europipe pipe jacking drive in 1996. The purpose of the tunnel is the installation of the gas pipeline outfall in the project Gaspipeline Sur de Texas Tuxpan. We will show the jobsite preparation, equipment used, installation phase and main issues occurred during the execution of the tunnel, problems suffered, and how we had solved them in order to finalize a very difficult pipe jacking drive with an hydroshield machine in plastic clay and sand, the rescue of the TBM under the sea bed and installation of the gas pipeline bundle inside the tunnel. Dr. Marc Marti is Director General at Eurohinca/Terratest Tunnelling, a specialist microtunneling company based in Madrid, Spain. Since its founding in 1996, the company has acquired 14 tunneling machines and completed more than 80 km of tunnel in 250 sections. Marti, educated at the Technical University of Madrid, has 20 years of underground construction experience. Tippets shares his expertise and experience with others in the trenchless industry through his abundant volunteer commitments. He has been involved with the North American Microtunneling Association (NAMA) Board of Directors; committee member and session leader for the North American Society of Trenchless Technology (NASTT); and committee member for the American Railway Engineering and Maintenance-of-Way Association. Additionally, Tippets worked on the American Society of Civil Engineers (ASCE) Standard Design and Construction Guidelines for Microtunneling (ASCE/CI 36-15) Committee and the AREMA microtunneling guidelines. Henry Obermeyer is a registered professional engineer and a graduate of the Colorado School of Mines. He has been issued over 50 patents in fields including hydroturbines, pumps, water control gates, composite structures, and inflatable structures. His company, Obermeyer Hydro, Inc. is the originator of pneumatically controlled spillway gates with over 600 completed installations in 30 countries. Reflectorless AMTS Settlement Monitoring – Zhangwei Ning | Sixense Inc.
Automatic Motorized Total Station (AMTS) has been used for ground settlement, structural deformation monitoring in tunnel construction since 1990s. Compared to conventional manual survey, it provides continuous, near-real time measurements with minimal operator presence and maintenance on site after initial setup. AMTS is primarily known to operate in reflector mode, which requires installing optical prisms at monitoring points while being less known, it also operates in reflectorless mode measuring directly an object’s surface deformation with appropriate reflectivity. Such features make reflectorless AMTS an ideal technique for settlement monitoring when tunneling beneath major traffic roads, because it eliminates the interference to the traffic while providing timely monitoring data. This presentation introduces the principles of AMTS reflectorless system, with case studies of implementations of such system in some microtunneling projects in Southern California. With no traffic closure needed while allows for instant access to tunneling induced settlement data, it is proven to be an effective and practical tool to meet engineer’s requirement of neal-real time settlement monitoring as well as provide contractor with a cost effective, fast-mobilization solution. Dr. Zhangwei Ning is the technical manager with Sixense Group, USA, specialized in real-time geotechnical instrumentation and monitoring, using both conventional and the state-of-the-art sensing technology. He has participated in a wide range of complex projects, including: tunneling, deep excavation, bridge, dam, landfill, landslide, etc. Dr. Ning currently servers on ASCE Geo-Institute Underground Engineering and Construction Committee, DFI Testing and Evaluation Committee, and DFI Project Information Management Systems Committee. He is also a reviewer of the Journal of Civil Structural and Health Monitoring. Mr. Rosenberg will provide an update on key legal issues in 2019 for underground contractors. He will address contract issues and cases that all underground contractors need to be aware of as well as the ever shifting risk allocations imposed on contractors. 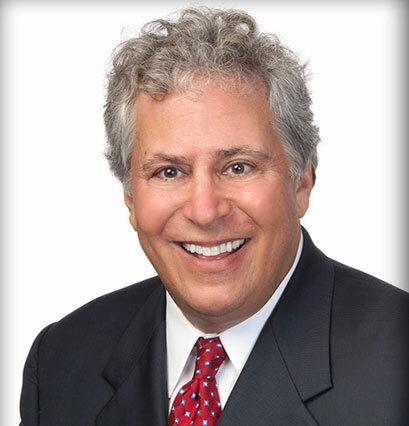 Mr. Rosenberg is a full time construction lawyer. He is a Fellow in the American College of Construction Lawyers, the chairperson of the American Bar Association, Forum on Construction Law, which is the largest organization of construction lawyers in the world, listed in Best Lawyers in America and listed as one of the top 50 lawyers in his home city of Columbus, Ohio by Super Lawyers magazine. Pipe Express® :a semi trenchless pipeline installation method as alternative to open cut in restricted areas. Gerhard’s background is in civil and mechanical engineering. After working for Herrenknecht as project manager on traffic tunneling jobs in Europe he finished his PhD in civil engineering and a MBA in international marketing before he went to work for Amiantit. Since 2008 he is back with Herrenknecht as Business Development Manager for the Utility Tunneling division. The jacking pipe is the main bearing structure on a microtunnel / pipe jack during construction and in case of a direct jacked pipe also during service life of the tunnel. This presentation sums up several important design and execution aspect of a reinforced concrete jacking pipe used for a microtunneled siphon with tight curve radius in the State of Oregon, US. This presentation will cover proper selection of separation equipment to keep up with the production of solids generated by the new and highly sophisticated TBM’s available on the market. Forty seven years in slurry engineering and separation design and applications. Twenty two years in the microtunneling slurry and separation business. Mud Engineer in difficult exotic slurries and instrumental on developing polymer based drilling fluids. Designed and built numerous separation plants based on geotechnical information and specifics of TBM machine performance. Bijan Khamanian is the Division Manager-West for Hobas Pipe since 1997 and is directly responsible for technical and sales support for Hobas fiberglass pipes in the Western United States, including Hawaii, Alaska and Western three provinces of Canada. Bijan has presented numerous papers on the use of Fiberglass Reinforced Polymer Mortar Pipes in trenchless installations at the ASCE Pipelines, CWEA, HWEA and UCT. Bijan presented several papers in the US and Canada. John has been employed by Ward & Burke for 10 years since graduating as a Civil Engineer. During this time, he has managed and supervised the installation of 150,000 feet of microtunnel in Ireland, UK, and Canada. He now acts as Director of Ward & Burke in Canada and the USA. Direct Pipe Through Hard Rock will cover the challenges and learning experiences of the highly technical Direct Pipe® Installation (DPI) on the Severn River in Ontario, Canada. The crossing was a key component of TransCanada’s Gravenhurst Pipeline Replacement Project, a 1.6km NPS36 replacement line. Peter’s leadership as VP of Operations and now as CEO has recently led IPC to great success in the trenchless industry. 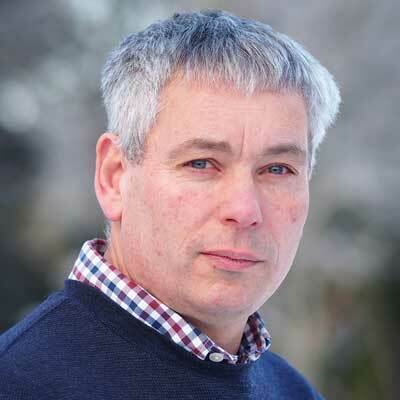 Peter has a mechanical engineering background, with 20 plus years’ experience in the Trenchless industry; 15 of which was with Herrenknecht Tunnelling. He has been involved with tunnelling projects all over the world including China, Russia, Latin America and now in North America. Bradshaw Construction is in the process of completing nearly 3,000′ LF of tunnel for the Goff Brook Overflow Closure project, a sanitary sewer installation in Wethersfield, Connecticut. The project has provided unique challenges and opportunities to advance the interests of both our organization and the client. Rock microtunneling always requires different considerations and usually offers lessons to be learned, and this project has been no exception. Additionally, the project has allowed for client-contractor collaboration to modify the original scope, which has included adding a 510′ LF drive on an 1,170′ radius curve in lieu of open cutting a major highway. Working in the industry for eight years, Mr. Bradshaw has worked on tunneling projects in multiple capacities. Beginning as a laborer, he worked for three years gaining first-hand knowledge of tunneling and ground conditions before moving into estimating, engineering and project management. David Kennedy was raised in Houston, TX. during the construction boom of the 1970’s with a passion for building and received a Construction Management degree from the college of Engineering Technology at the University of Houston. David has over 30 years of experience in the construction industry and has been with BRH-Garver Construction managing complex Civil Projects since 2011. Don Del Nero is a Vice President with Stantec Consulting Services Inc. and the Global Tunneling and Trenchless Practice Leader. He holds a minor in geology, BS in Civil Engineering, MS in Geotechnical Engineering, and has 29 years of experience including over 50 miles of underground projects involving planning, studies, design, design-build, P3, construction management, and construction management at risk. He recently served as the 2018 No Dig Show Program Chair. Don’s career in construction has taken him from Prudhoe Bay Alaska working on the Trans Alaska Pipeline to microtunnel and large public works projects all over the mainland United States and Hawaii. Don has been in his current role as Chief Estimator for Frank Coluccio Construction for nearly 25 years, where his duties have included overseeing the estimating department, project management, negotiations with clients and Owners as well as dispute resolution when it occurs. 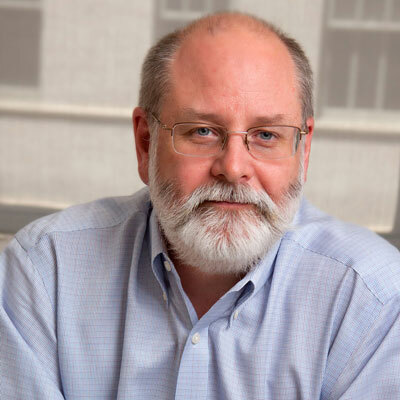 Bob Goodfellow is a Senior Vice President for Aldea Services LLC. He is a licensed professional engineer in over a dozen states. Goodfellow has over 25 years of experience in the tunneling industry and he currently serves on the Executive Committee for the American Underground Construction Association (UCA of SME) where he is currently the Vice Chair. He is co-author of the U.S. tunnel industry guidelines for risk management on tunnel projects. In December 2017, Laney set a new world-record in length for the Direct Pipe® Method. This project included a shore approach execution into the Gulf of Mexico located in Cameron County, Texas. The total measured distance of the 42-inch diameter Direct Pipe® installation was 4,900 feet with an additional 1,350 feet of pipe pushed out to the offshore contractor. This was the longest Direct Pipe® installation at the time on construction worldwide. This presentation will discuss the project methodologies adopted by both the design and construction teams to successfully install the pipeline crossing. In addition, the case study will discuss the numerous challenges associated with installing a pipeline further than had ever been accomplished utilizing the Direct Pipe® Method. Dr. Carlin has more than 14 years’ experience in construction engineering & project management with expertise in HDD and Direct Pipe® construction. Carlin received a BS in CivE and ArchE from Missouri University of Science and Technology, a MBA from University of Nevada-Las Vegas & a PhD in Civil Engineering from Arizona State University. 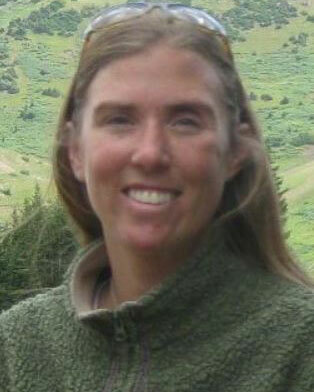 She currently sits on the Board of Directors for the NASTT. 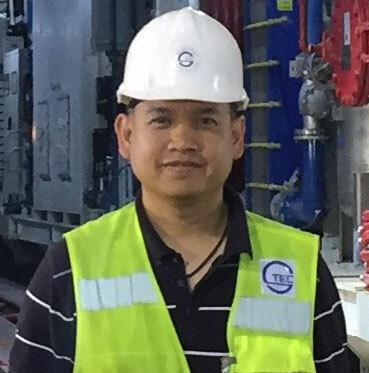 Deep / Wet, Launch and Reception Portals – Ratchapit (Oh) Dejthai | Microtunneling Inc.
Director of Engineering | Microtunneling, Inc. Global Long Drive Experience will cover some key projects of the Bothar Group of Companies, including sea-outfall tunnelling and unique long distance (1km+) projects. With 35 years of heavy construction and civil engineering experience, Andy has managed billion dollar construction and infrastructure projects. His experience covers multiple continents and many facets of industry including service and utility works, drainage, and structures, with expertise in water & wastewater, M&E, tunnelling, pipe-jacking, shaft sinking, roads, bridges, and also light rail.